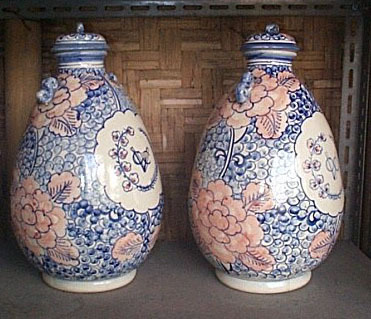 Description: Simply gorgeous water vessel featuring a glazed hand painted floral theme, in blue, white, and brown colors. These items are sold seperately. 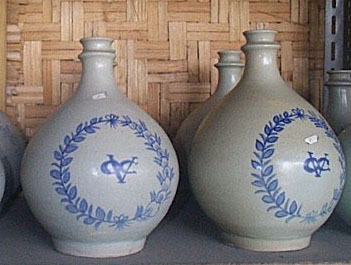 Description: A beautiful earthenware flask, in grey with a blue Delft floral patter wreath. 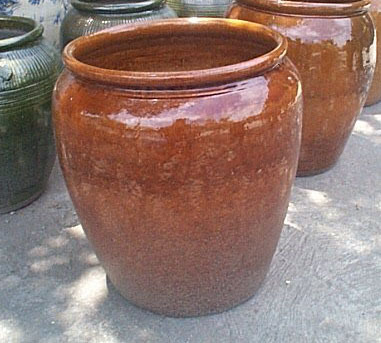 Description: Exquisite hand made flower pot with glazed red ochre finish. 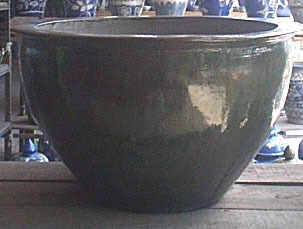 Description: A very beautiful medium sized flower pot in green. 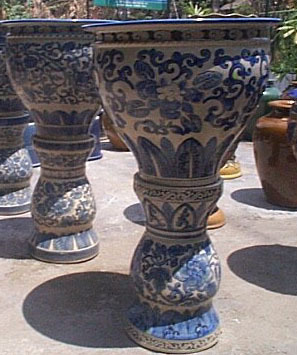 Description: A magnificent work of art, this standing flower pot with pedestal is hand painted with a unique blue and white floral pattern. 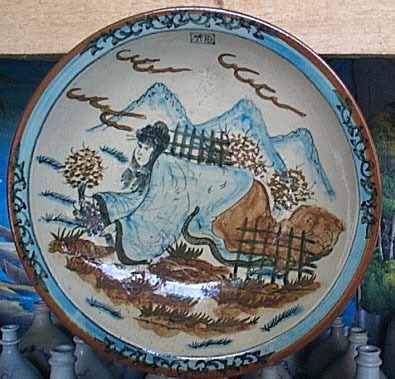 Description: A very unique looking oriental plate, with hand painted design of a woman in the garden with flowers. Description: These items are sold seperately. 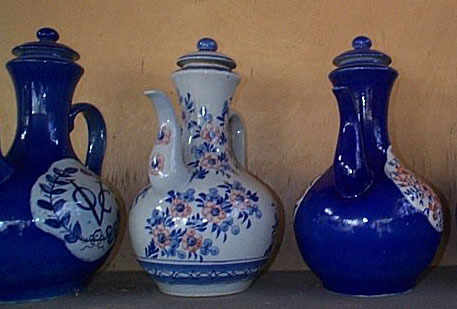 These tea decanters come in either a blue on white floral design, or a white on blue design. 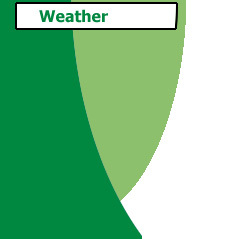 They are marvelous works of art which are both stylish as well as practical. 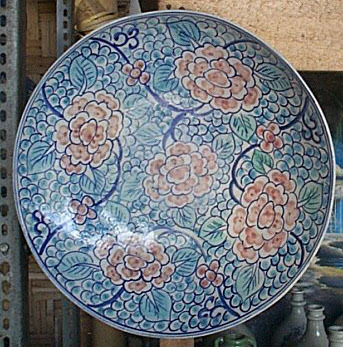 Description: The level of detail in this hand painted floral plate is just incredible. It makes a wonderful showpiece item.